It’s the end of an era as APA Group’s Managing Director, Mick McCormack, approaches retirement as head of Australia’s largest transmission pipeline owner. 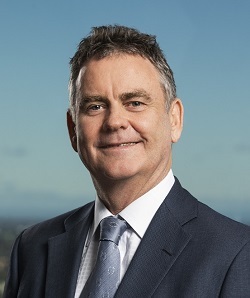 The May Brisbane dinner will be a wonderful opportunity to hear Mick’s thoughts on one of the major prevailing issues of our time: the provision of energy, and to thank him for his immense contribution to APGA and the pipeline industry. He will discuss the energy debate from the viewpoint of consumers, governments and energy providers. He will outline the transformational changes in the development of, and attitudes towards, the provision of energy in his 35 plus years in the industry. Cancellations received by COB Friday 10 May will be fully refunded. Cancellations after this time are not refundable, however, substitutions will be accepted. Member discounts will display after logging in. Please note: some people have experienced difficulties with older, unsupported, versions of Internet Explorer. Edge or other browsers have no problems and should be used for making credit card payments.